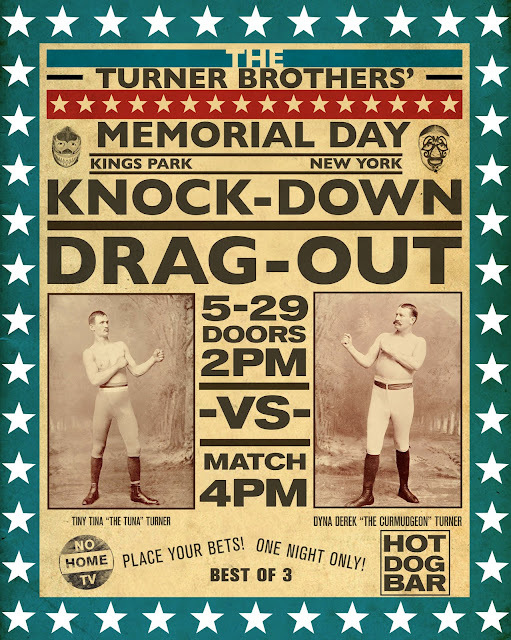 I made this poster for a wrestling match my brother and I drunkenly challenged each other to. I took some inspiration from lucha libre and vintage American wrestling posters and made a sort of mashup. I liked the result and the match ended up being a draw.